The multilingual film is set to hit the screens in four languages – Telugu, Tamil, Malayalam, and Hindi. As we know, the first part was a blockbuster and the second part is expected to be even bigger. This can be said following the trends, excitement, and the humongous advance booking which it has received so far. With 9000 screens, it is going to be the biggest release of Indian cinema till date. Bahubali 2 box office collection will be earth-shattering for sure starting from the first day itself. It will shatter all Indian box office records. Let’s see which version of the movie has got how many screens with a detailed Bahubali 2 screen count and distribution. Of all the available Indian screens, Bahubali 2 has got around 6500 screens which is equivalent to 95% of the screen share in India. It will be the widest release of all time. 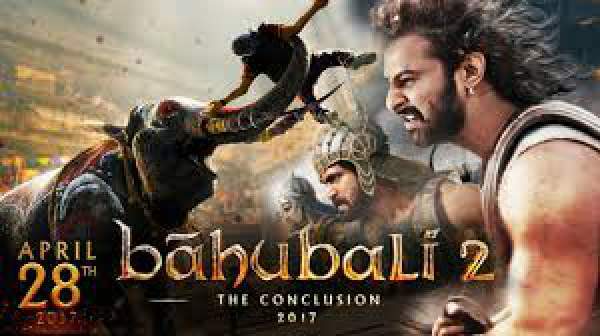 The Baahubali 2 Telugu version will release on over 2000 screens in Andhra Pradesh (AP), Karnataka, Maharashtra, and Kerala. It will be a record for a South Indian film to release its Hindi version on over 3000 screens. Distribution is as follows – 1000 screens in Delhi-NCR & Uttar Pradesh (UP), 1000 in Maharashtra, and other circuits will have 1000 screens. The makers and distributors are aware of the fact that Telugu films get huge love in foreign countries like the USA and Malaysia. In the US alone, the movie has acquired around 1100 screens. In total, there will be 2500 screens overseas. Hindi version will be loved in Australia, Fiji Islands, and New Zealand. In the UK, Baahubali 2 is set to premiere as part of UK-India Year of Culture events. It will become the first Telugu movie to hit the big screen in 4K HD format. Nearly 200 screens have been upgraded before the Bahubali 2 release date. It will release on 40 IMAX in the USA. It stars Prabhas, Rana Daggubati, Anushka Shetty, Tamannaah Bhatia, Sathyaraj (Rangaraj Subbaiah) among others in the lead roles. Stay tuned to TheReporterTimes.com as we will update you with Baahubali 2 collection on daily basis. It will run for 2 weeks without any competition and is expected to collect 1000 crores ($10bn) in its lifetime run worldwide.